Ps. I’m glad you and Nick made up. Yaaay Mary – you did it ! Well Mary, all I have to say is high time! I would love to say I understand your reasoning but..no! Come on, public washing machines? Gives me the willies to type it. In an emergency only, Mary !! You will ove your new appliances and will sa “ Why, oh why, did I wait so long…. Glad to hear Nick is still around. I LOVE my washer dryer. The saying in my family about me is “Laundry is my life.” Because I like to fold in front of the TV, put the wash in and walk away and do something else, have clean clothes whenever I like. You will LOVE it!! No thoughts on pantry items. You will find an amazing way to store all your pantry items and it will be remarkable. 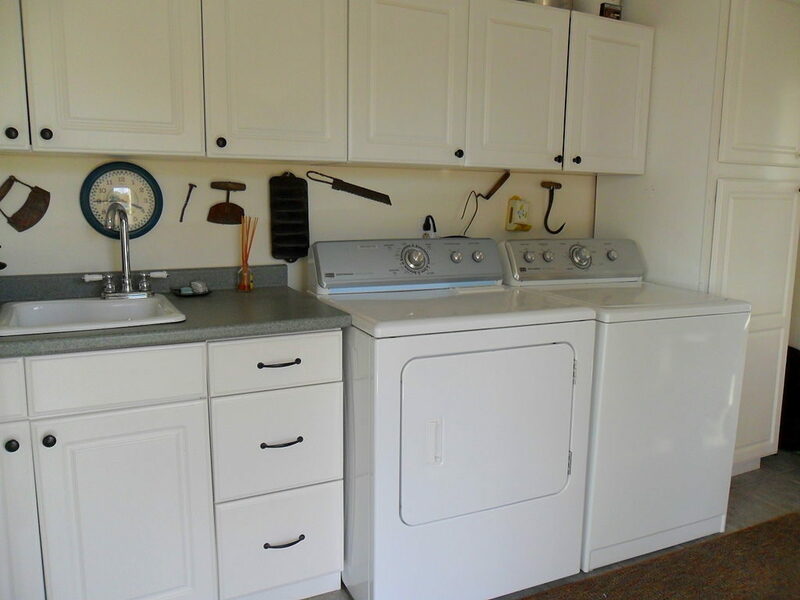 There have been many special days in my life…graduation, marriage, job promotions, book contracts, but none come even remotely close to the day my first washer and dryer arrived. It was a snowy afternoon and I worried that the truck be unable to make it through. Or worse yet, something might happen to my ‘longed for’ beauties. “Hang in there my darlings. You are almost home.” Ah, I still tingle and get goosebumps when I think of those shiny steel cubes being wheeled in on a giant red dolly. Okay, so the marriage has turned out great and the job promotions have been fun, and who doesn’t love a good book signing? …but deep in my heart, best of all, was the day Mr. Sears and Mrs. Roebuck presented me with their beautiful offspring named, Maytag. Oh, Mary, the funny things we humans do out of habit, fear, or in my case, massive procrastination and avoidance. Our first washer was a cast off from a neighbor who was moving. It danced across the floor in the spin cycle until it unplugged itself unless you held it down. I LOVED it! I hung my clothes outside to dry, and no more laundromats!! First, congratulations on no longer needing to schlep laundry around the building. Your back and knees will appreciate and thank you for it. I think there comes a time when each individual comes to terms with certain realities of their daily lives. There is an acceptance of the understanding that no matter how great the fantasy is, there is a point where it needs to be put away so the reality can be handled. It is a part of getting older and none of us like it much. Even when we can appreciate the benefits. Laundromat? Ugh!! I’d rather go to the dentist than a public laundromat. No offense to the people that own laundromats but really. You like to go to the laundry room? As the other gals have said, there’s nothing like walking up to your own washer and dryer and filling ’em up, turning them on and hearing your own appliances clean your clothes. I hope you make a video of it!! IKEA for cabinet ideas. It’s a fun date place! Lots of log fodder there, too. Buy some cute, adorable baskets for your open shelves for the stuff you want to hide. Glad all is well with you and Nick. But mostly just glad you are good. Patty and Michelle? Good ideas you two – IKEA for cabinets and baskets for the open shelf pantry items. It will all work out. Baskets. Yes. I chose galvanized metal canisters for basics! Love ‘em. But for seasonal fruits and veg, for breads and such, baskets can’t be beat. I do have a pantry closet with pullout shelves for canned goods. Mine came with the cabinets (which the designers call “cabinetry” these days). But you can buy them aftermarket. Enjoy your new freedom…you can strip nekkid and throw it all in at once! It will all be fun and games until the day you forget your laundry and it sits there for a day and that day just happens to be humid and you come home, open the door and almost pass out from the mouldy smell. Welcome to adulting. I really nice, “statement piece”, armoire could become your new pantry. No one else needs to know….. I live in the Pacific Northwest (yes it is raining) in a 500 square ft cottage surrounded by cherry trees and a flower and vegetable garden. The cottage has a wood burning fireplace and my husband and I lead a happy cozy life here BUT the cans of black beans and all that other stuff live in the dishwasher. Life is full of compromises..enjoy your washer and dryer!! Spring tension curtains covering up bean cans in open cabinet or two? Maybe mini quilts? Glad you are not going to do wash in the basement of an apartment building anymore! People get murdered there! I’ve always said (when we were a family of 6 and now down to 2 members) that I would do without a stove or refrigerator before I’d do without a washer and dryer (hated the laundromat down the street). When either broke, NO laundry was done, repair had to be immediate. When my first marriage ended I took the w/d for me and my two year old and left the stove and refrig. In my book your priorities are backwards, HA! Sorry, have to laugh at your anxieties regarding laundry. I’ve lived in a tiny former summer cottage for 26 years now. I was going to knock it down and put up a “real ” house when I moved in and then life happened. My energy went to survival mode and just having a roof over my head was sufficient. I’ve been hauling my laundry to the laundromat for all of those 26 years and I really dislike it. I used to hate it, but a really decent person opened a really decent facility 4 miles away, and it is somewhat pleasant to use it. I still only go there about once every 3 weeks, and need way more clothes than I should have in such a tiny house. I LUST for my own washer and dryer. Congratulations, Mary. Oh, and by the way, it has nothing to do with adulting or not adulting.